ActivePresenter has numerous options when export to video (AVI, FLV…). This is very flexible but may also make us chaotic to decide which option needs to change to produce desired output. This article will guide you how to balance between the output file size and the output quality by setting these export options without understanding multimedia skill deeply. Let’s see how following options: video size, frame rate, key frame, quality, audio channels, audio sample rate, audio bit rate could affect the output quality and the output file size. Video Size: choosing smaller video size will reduce the output file size; the quality is reduced because the resolution is decreased. If the details of object such as text or edges are not important, this option can be used. Frame Rate: a higher frame rate allows smoother object transition (especially with fast moving object) but produces larger output file size. Usually, we have not any fast moving in ActivePresenter project, so frame rate falls in range 8 – 16 frames per second is acceptable. With lower frame rate, the judder (non-smooth motion) artifacts may occur with mouse movement simulation. 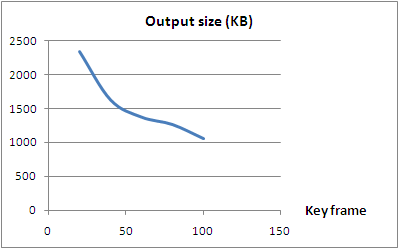 Key Frame: Increases this value (a number of frames which has one key frame) will decrease the output file size. The drawback is not possible to fast forward or rewind to any arbitrary spot in the video file. 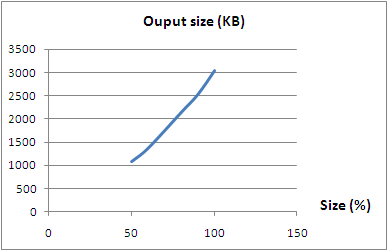 At the high key frame value, increasing it does not reduce the output file size too much. 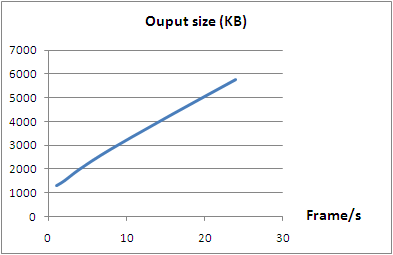 This limit value depends on frame rate, the duration of slides in project,… It can be estimated by multiplying the frame rate by average duration of slides. 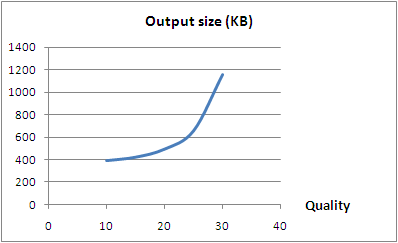 Quality: The lower quality is, the smaller file size is. The common value of this option should be in range from 20 to 30 (highest). The higher values allow higher audio quality and a bit larger output file size. If your project does not use audio or only contains voice, choosing lowest values will be suitable. The highest values are more appropriate for project contains high quality music or something like that. You can combine all of above options to suit for your need. Note: All of above charts show how the output file size is affected by changing one option while keeping other options remain unchanged. These are estimated results from a particular case without counting the influence of other factors but nearly enough for you to choose appropriate options for a desired output.